Romania is a country located at the crossroads of Central and Southeastern Europe, on the Lower Danube, within and outside the Carpathian arch, bordering on the Black Sea. Romania shares a border with Hungary and Serbia to the west, Ukraine and Moldova to the northeast and east, and Bulgaria to the south. At 238,400 square kilometers (92,000 sq mi), Romania is the ninth largest country of the European Union by area, and has the seventh largest population of the European Union with 21.9 million people. Its capital and largest city is Bucharest, the sixth largest city in the EU with about two million people. Romania joined NATO on March 29, 2004, the European Union on January 1, 2007 and is also a member of the Latin Union, of the Francophonie, of the OSCE, of the WTO, of the BSEC and of the United Nations. Today, Romania is a unitary semi-presidential republic, in which the executive branch consists of the President and the Government. Romania is divided into 41 counties and the municipality of Bucharest. Each county is administered by a county council, responsible for local affairs, as well as a prefect responsible for the administration of national affairs at the county level. The prefect is appointed by the central government but cannot be a member of any political party. 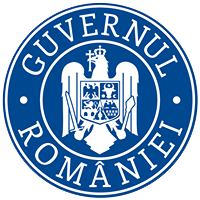 With a GDP of around $325 billion and a GDP per capita (PPP) of $15,291 for the year 2011, Romania is an upper-middle income country economy and has been part of the European Union since 1 January 2007. After the Communist regime was overthrown in late 1989, the country experienced a decade of economic instability and decline, led in part by an obsolete industrial base and a lack of structural reform. From 2000 onwards, however, the Romanian economy was transformed into one of relative macroeconomic stability, characterised by high growth, low unemployment and declining inflation. In 2006, according to the Romanian Statistics Office, GDP growth in real terms was recorded at 7.7%, one of the highest rates in Europe. Growth dampened to 6.1% in 2007, but was expected to exceed 8% in 2008 because of a high production forecast in agriculture (30–50% higher than in 2007). The GDP grew by 8.9% in the first nine months of 2008, but growth fell to 2.9% in the fourth quarter and stood at 7.1% for the whole 2008 because of the financial crisis. Thereafter, the country fell into a recession in 2009 and 2010, where the GDP contracted −7.1% and −1.3% respectively. It is estimated by the IMF that the GDP will grow again by 1.5% in 2011 and 4.4% in 2012. According to Eurostat data, the Romanian PPS GDP per capita stood at 46% of the EU average in 2010. Inflation in 2010 was 6.1%. Unemployment in Romania was at 7.6% in 2010, which is very low compared to other middle-sized or large European countries such as Poland, France and Spain. General government gross debt is also comparatively low, at 34.8% of GDP. Exports have increased substantially in the past few years, with a 13% annual rise in exports in 2010. 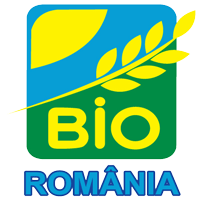 Romania’s main exports are cars, software, clothing and textiles, industrial machinery, electrical and electronic equipment, metallurgic products, raw materials, military equipment, pharmaceuticals, fine chemicals, and agricultural products (fruits, vegetables, and flowers). Trade is mostly centred on the member states of the European Union, with Germany and Italy being the country’s single largest trading partners. The current account balance in 2010 held a deficit of $6.842 billion. After a series of privatisations and reforms in the late 1990s and 2000s (decade), government intervention in the Romanian economy is somewhat lower than in other European economies. In 2005, the government replaced Romania’s progressive tax system with a flat tax of 16% for both personal income and corporate profit, resulting in the country having the lowest fiscal burden in the European Union, a factor which has contributed to the growth of the private sector. The economy is predominantly based on services, which account for 51.2% of GDP, even though industry and agriculture also have significant contributions, making up 36% and 12.8% of GDP, respectively. Additionally, 29.6% of the Romanian population was employed in 2006 in agriculture and primary production, one of the highest rates in Europe. Since 2000, Romania has attracted increasing amounts of foreign investment, becoming the single largest investment destination in Southeastern and Central Europe. Foreign direct investment was valued at €8.3 billion in 2006. According to a 2011 World Bank report, Romania currently ranks 72nd out of 175 economies in the ease of doing business, scoring lower than other countries in the region such as the Czech Republic. Additionally, a study in 2006 judged it to be the world’s second-fastest economic reformer (after Georgia). During the first quarter of 2011 the average monthly household income was 2,318 Romanian lei, equating to approximately $867 USD based on international exchange rates, and $1170 based on purchasing power parity. In 2009 the Romanian economy contracted as a result of the global economic downturn. Gross domestic product contracted 7.2% in the fourth quarter of 2009 from the same period a year earlier, and the budget deficit for 2009 reached 7.2% of GDP. Industrial output growth however reached 6.9% year-on-year in December 2009, the highest in the EU-27. In 2010, Romania’s population is estimated to be 21,904,551. Like other countries in the region, its population is expected to gradually decline in the coming years as a result of sub-replacement fertility rates. In 2002 Romanians made up 89.5% of the population. The largest ethnic minorities are the Hungarians, who make up 6.6% of the population and Gypsies, who make up 2.46% of the population. Hungarians constitute a majority in the counties of Harghita and Covasna. Ukrainians, Germans, Lipovans, Turks, Tatars, Serbs, Slovaks, Bulgarians, Croats, Greeks, Russians, Jews, Czechs, Poles, Italians, Armenians, as well as other ethnic groups, account for the remaining 1.4% of the population. The fertility rate is decreasing, with 1.4 births per woman recorded in 2009. The birth rate (10.61‰, 2008) is slightly lower than the mortality rate (11.84‰, 2008), resulting in a shrinking and aging population, approx. 14.8% of total population having 65 years and over. • Nativity of Jesus (December 25), associated with Christmas. Along with religious aspects, in Romania, the Easter symbolizes the rebirth and the renewal of daily life. It’s usual like in the Easter morning, after the returning of villagers from churches, children go to neighbors’ homes, to bring luck and wealth, in exchange for a red egg. Also, in the Christmas Eve, young people carol the village homes, hosts giving in exchange nuts, sponge cakes, apples, pretzels and other delicacies. The Star boys’ singing procession is a very important part of Romanian Christmas festivity. In the week between Christmas and New Year, in all villages, groups of lads prepare for “bid”, complex system of customs and habits. On the evening, in the eve of respective year which arises promising, are expected to occur “Ursul”, “Capra”, “Bunghierii”, “Căiuții”, “Malanca”, “Jienii”, “Mascații” and others. The Romanian folkloric costumes characterize own attributes of the Romanian people and contribute essentially at the definition of ethnic specificity. Closely related to human existence, the folkloric costume reflected over time, as reflected nowadays, mentality and artistic conception of the people. The folkloric costume has been developed with history, being a genuine expression of coherent traditions throughout centuries. Distinct clothing ornamentation, traditional methods used for sewing and tailoring the pieces of clothing, and wide variety of costumes from one region to another customize the defining spirit of the Romanian people. Also, the folklore of Romania is defined by its mythology, branch of folk literature that integrates a variety of ancestral habits, tales, fables and ballads, whose authors are anonymous. The rural character of the Romanian communities resulted in an exceptionally vital and creative traditional culture. So, in Romanian mythology were conceived fabulous beings, unreal characters endowed with supernatural powers. These include Baba Cloanța, a misshapen and recondite witch, Iele, inconstant virgins endowed with unapproachable ability of seduction and superhuman features, Muma Pădurii, a hag that lives in deep forest, Strigoi, troubled souls of the dead rising from the grave and Făt-Frumos, a knight hero that fights with griffons, dragons and witches to liberate his heart chosen, Ileana Cosânzeana. The words “longing” and “mourning” have correspondent in another language, but the nonfigurative character remains undecipherable and define specificity of the Romanian soul. Doina, characteristic only Romanian literary folklore, represents the lyric creation that Romanian expresses the most varied and complex range of feelings, strongly rooted in his spiritual structure. In the Romanian folkloric tradition, “doina” was played mainly orally or accompanied by a single instrument, being the song of elegy, played for self comforting and not intended for festive events because of its sober nature. 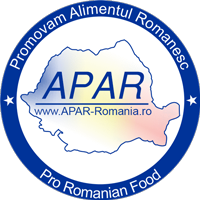 Romanian cuisine is a diverse blend of different dishes from several traditions with which it has come into contact, but it also maintains its own character. It has been greatly influenced by Ottoman cuisine but also includes influences from the cuisines of other neighbours, such as the Greeks (musaca), Bulgarians (zacuscă), Turks (pilaf), and Hungarians (langoși). Quite different types of dishes are sometimes included under a generic term; for example, the category ciorbă includes a wide range of soups with a characteristic sour taste. These may be meat and vegetable soups, tripe and calf foot soups, or fish soups, all of which are soured by lemon juice, sauerkraut juice, vinegar, or traditionally borș (fermented wheat bran). Popular main courses include mititei, frigărui and the șnițel. One of the most common dishes is mămăliga, a cornmeal mush served on its own or as an accompaniment. Pork and chicken are the preferred meats, but beef, lamb and fish are also popular. Sarmale are prepared from minced meat (pork, beef, mutton, poultry or fish meat, especially in the Danube Delta), mixed with rice and other aliments (pap, couscous etc.) and wrapped in cabbage (fresh or sour) or vine leaves in the form of rolls. Usually, they are served with polenta and smetana, but can be served with a spoonful of fresh butter. The list of desserts includes names like amandine, clătite, chec, cozonac, gogoși, griș cu lapte, lapte de pasăre etc. In the north-western Romania, are prepared so-called ciureghe, gomboți cu prune, pancove, plăcinte crețe, while in the north-eastern Romania, the traditional desserts are chec cu vișine, tartă cu mere, alivenci moldovenești. Țuică is a strong plum brandy that is widely regarded as the country’s traditional alcoholic beverage, along with wine. Romania is the world’s second largest plum producer (after the United States) and as much as 75% of Romania’s plum production is processed into the famous țuică, a plum brandy obtained through one or more distillation steps reaching (but not limited to) an 70% alcohool concentration depending on the number of steps of distillation. Alcoholic beverages are also obtained from other fruits (see rachiu, palincă and vișinată). Wine, however, is the preferred drink, and Romanian wines have a tradition of over three millennia. Romania is currently the world’s 9th largest wine producer, and recently the export market has started to grow. Romania produces a wide selection of domestic varieties (Fetească, Grasă, Tamâioasă, Băbească), as well as varieties from across the world (Italian Riesling, Merlot, Sauvignon blanc, Cabernet Sauvignon, Chardonnay, Muscat Ottonel). Beer is also highly regarded, generally blonde pilsener beer, the traditional methods of preparation being generally influenced by German wheat beers. There are some Romanian breweries with a long tradition, such as Timișoreana, Ursus and Azuga. Since the 19th century, beer has become increasingly popular, and today Romanians are amongst the heaviest beer drinkers in the world. Certain recipes are made in direct connection with the season or the holidays. At Christmas, each family usually sacrifice a pig and prepare a large variety of dishes of its meat and organs (cârnați, caltaboși, chiftele, tobă, șnițele). At Easter, is customary to sacrifice a lamb, preparing of its meat drob de miel and roast lamb with thyme, as dessert being served pască cu brânză and cozonac cu nucă.